Few guitars players can say that they soloed their way into a record deal, but Richard Thompson can. As the guitarist in a then-unheralded British folk-rock band called Fairport Convention, he ripped a solo with such sophistication and energy that American record producer Joe Boyd decided to give the band a record deal. Thompson would go on to prove he had considerable skill as a songwriter and vocalist as well on Fairport Convention’s subsequent five albums before embarking on a long and successful solo career. His incredible guitar playing incorporates elements of traditional Britannic folk, jazz, and rock, and he synthesizes these disparate elements into a cohesive voice using his virtuosic hybrid picking technique. Though his guitar work will blow your mind, his songwriting chops are what will really bring a tear to your eye (I’m speaking from experience—this song got me good on my lunch break today!). His advanced harmonic sensibility takes his tunes interesting places, and he has a gift for writing the sort of memorable melody that hits the resonant frequency of the listener’s heart. After giving a couple of his records a spin, it’s easy to see why everyone from legendary punk rocker Bob Mould to country music queen Allison Krauss has covered his songs. 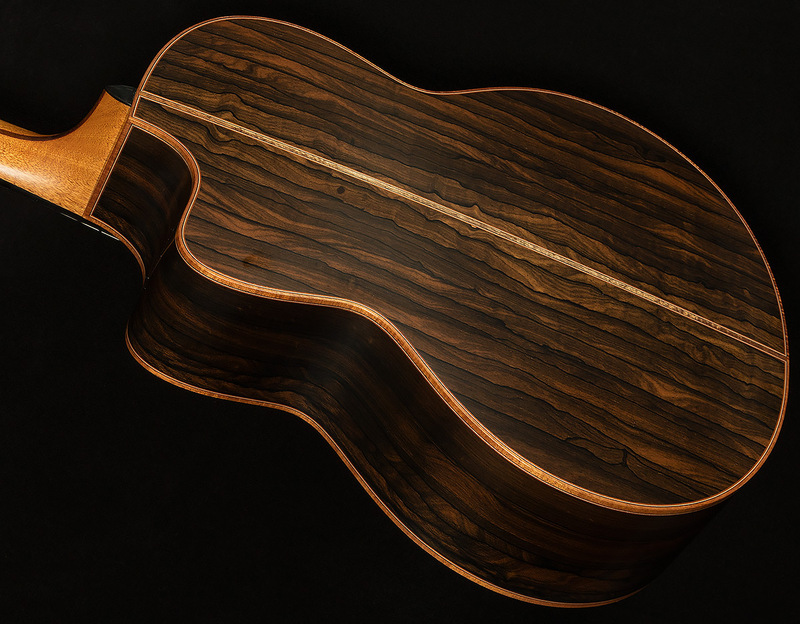 Though Thompson’s music is always evolving and changing, one thing has remained constant over the last three decades: his love for Lowden guitars. 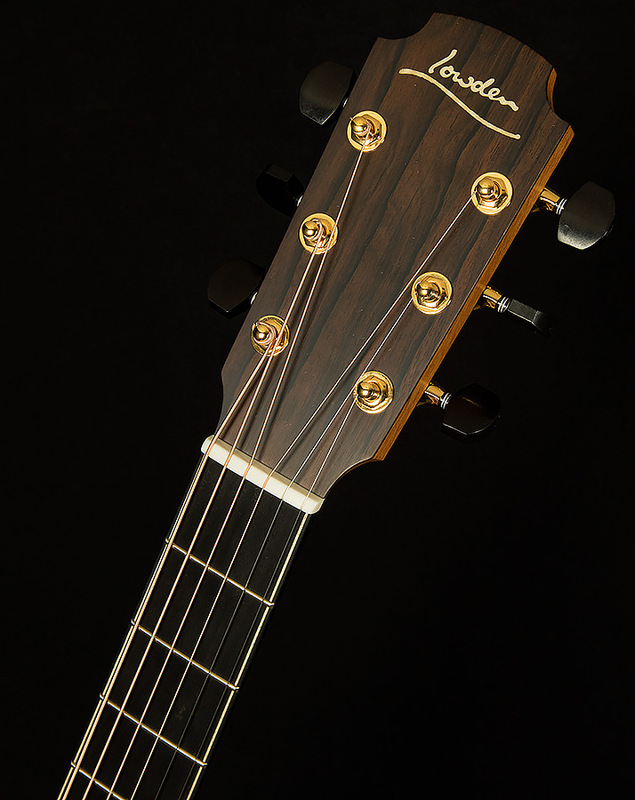 Richard has played Lowdens almost exclusively since the early eighties, and after years of touring and recording with his L27FC, George Lowden approached Richard about doing a signature model. 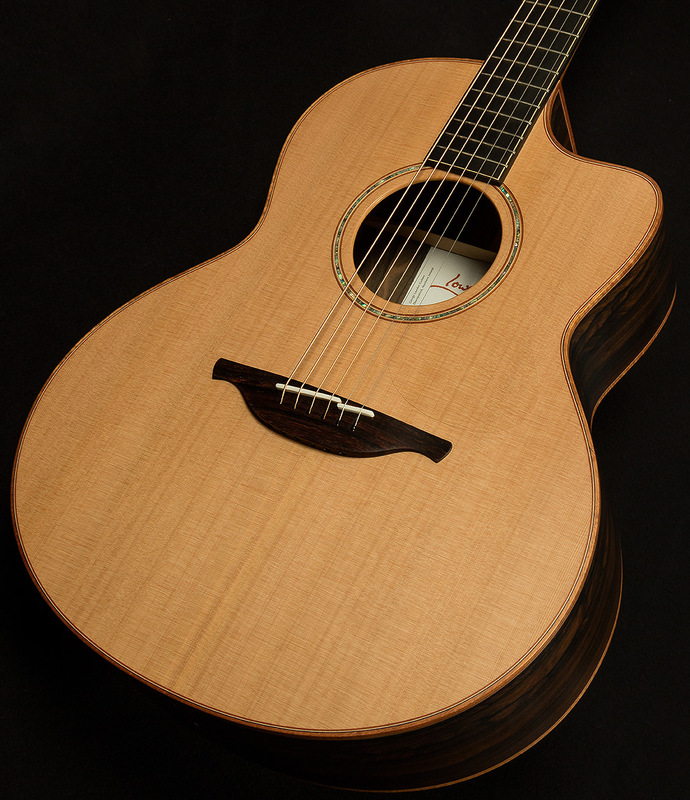 As any sane guitarist would, Richard said yes, and we are so excited to showcase the fruit of their collaboration: the Lowden Richard Thompson Signature. Richard Thompson is the sort of player who asks a lot of his instrument. His music calls for both hard-charging strumming and intimate fingerpicking, and he needed a guitar that could handle both of these extremes (and everything in between!) with aplomb. The guitar needed to project like none other while retaining the sort of touch-sensitivity a discerning player like Richard needs. That might seem like an impossible task to mortals like you or I, but to hear George Lowden tell it, it was pretty easy. 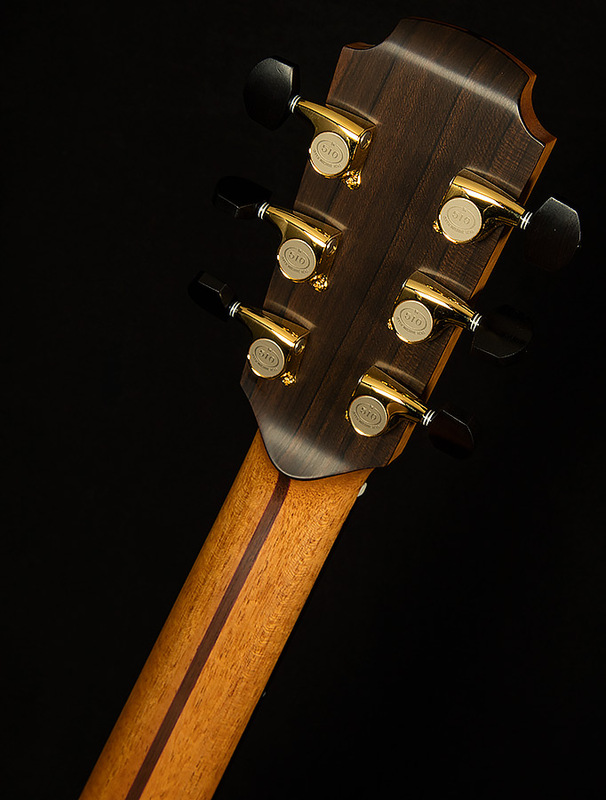 He chose the classic medium-sized F body style, which he built using a rare and mighty tonewood combination: figured ziricote and AAAA Red Cedar. 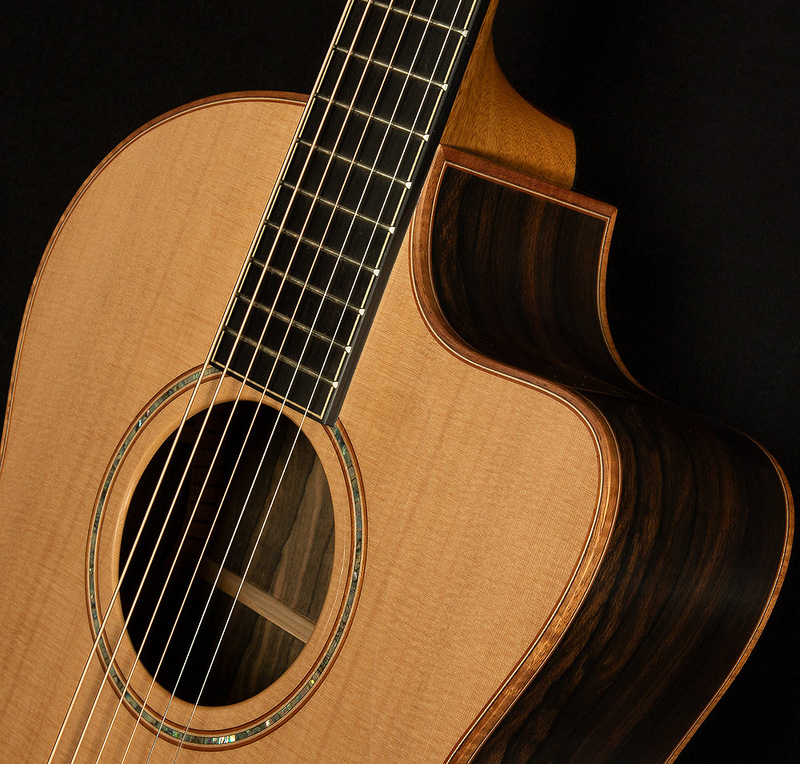 Cedar is a soft, flexible, warm-sounding wood with exceptional touch-sensitivity. 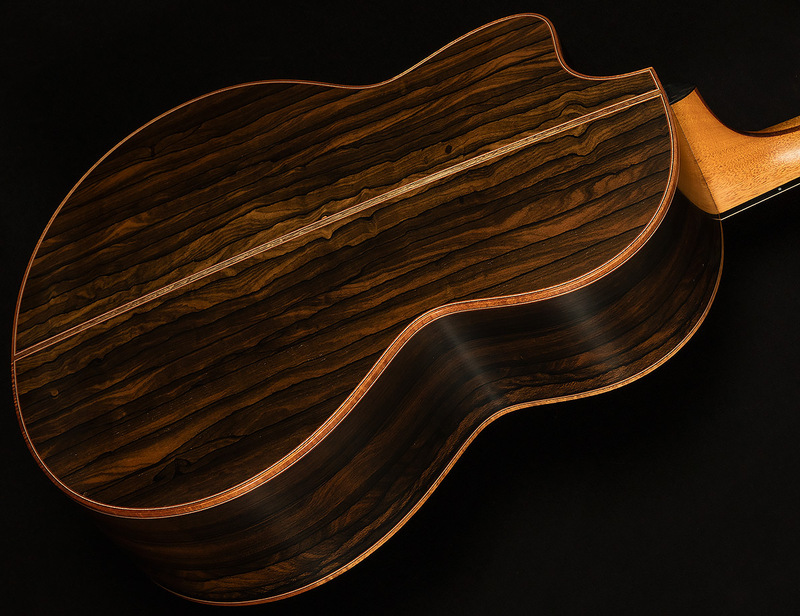 By contrast, ziricote is like a more rigid version of Brazilian rosewood with a bit more focus and punch to go with the classic piano-like lows and rich, lush highs. The only other partnership that comes close to matching the bounty of delights of ziricote and cedar create together is that of Starsky and Hutch, or perhaps Turner and Hooch. Oftentimes, we throw around superlatives like college kids tossing a Frisbee when we talk about high-end acoustics. That’s because when you get to a certain price point, every guitar has something spectacular to offer. So, it becomes a game of finding a guitar with strengths that align with your preferred musical pursuit. At least, that’s the way it usually goes. However, I couldn’t find a single area in which the Lowden Richard Thompson signature did not excel. Though there are certainly a handful of better fingerstyle guitars out there, and a few better strummers, I would be hard-pressed to think of a guitar that excels as much as the Richard Thompson Signature in both categories. The Richard Thompson Signature could easily render a group of bluegrass pickers speechless one night, wow a crowd of jazz cats the next, and blow minds at a fingerstyle gig the day after that. It sounds big enough to work wonders as solo accompaniment, but its tonality also sits perfectly in a mix, so it would sound superb in the hands of a rock frontman leading a band! The lows sit squarely in the middle of the Goldilocks Zone: big enough to sound rich, but tight enough to remain well mannered and defined. Above that, the sonorous low-midrange emphasizes the fundamental with full-throated power. When you strum hard, the midrange “hulks out” like a prewar dreadnaught, and you get a punchy fundamental with lots of warm, glowing overtones. 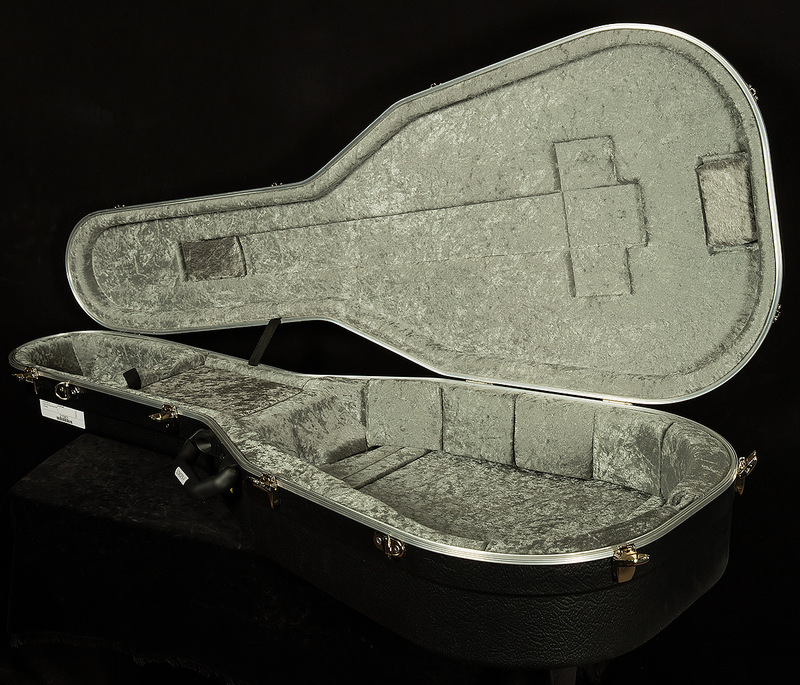 To top it all off, the touch-sensitive trebles sound glassy and smooth when you play softly and sparkly when you dig in. The Wildwood team is proud to showcase such an exemplary instrument for our exceptional customers. We believe it provides the sort of legendary tone that befits a player of Richard Thompson’s considerable stature, and we know it will be a lifelong muse for any intrepid acoustic adventurer.